Item # 309683 Stash Points: 1,395 (?) This is the number of points you get in The Zumiez Stash for purchasing this item. Stash points are redeemable for exclusive rewards only available to Zumiez Stash members. To redeem your points check out the rewards catalog on thestash.zumiez.com. 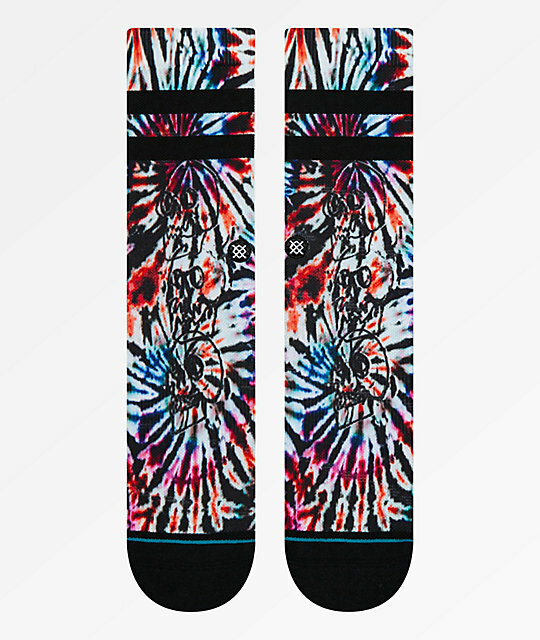 Pick up a trippy new look for your feet with the Skull Totem Crew Socks. 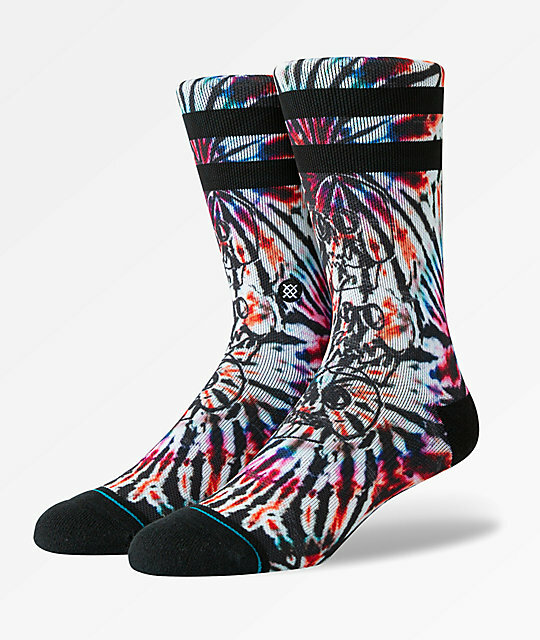 Coming in a multicolored tie-dye design with 3 skull graphics stacked on one another in black , these crew socks are a must have to display your psychedelic side. Stance's signature logo is embroidered at the ankle, and two black stripes are located at the upper cuff. 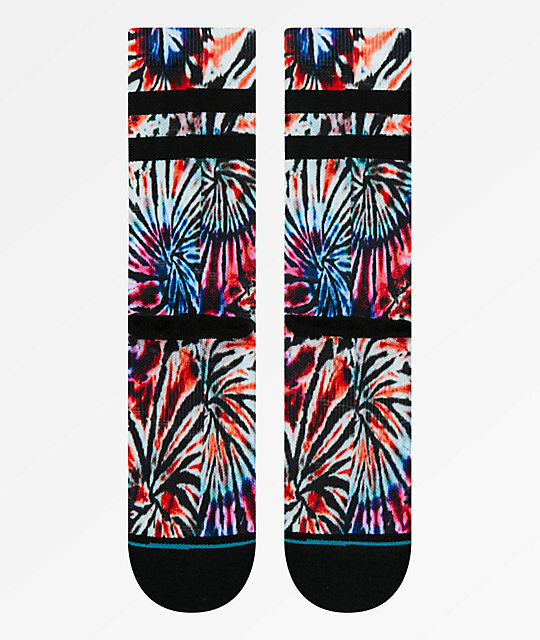 Extra cushioning is added throughout, while the toes and heels are reinforced for a durable and comfortable crew sock that oozes psychedelic vibes in true Stance fashion. Skull Totem Crew Socks from Stance. Fits men's shoe sizes: 9-12. Sublimated tie dye, with three stacked skull graphics at the front.